Hey everyone! 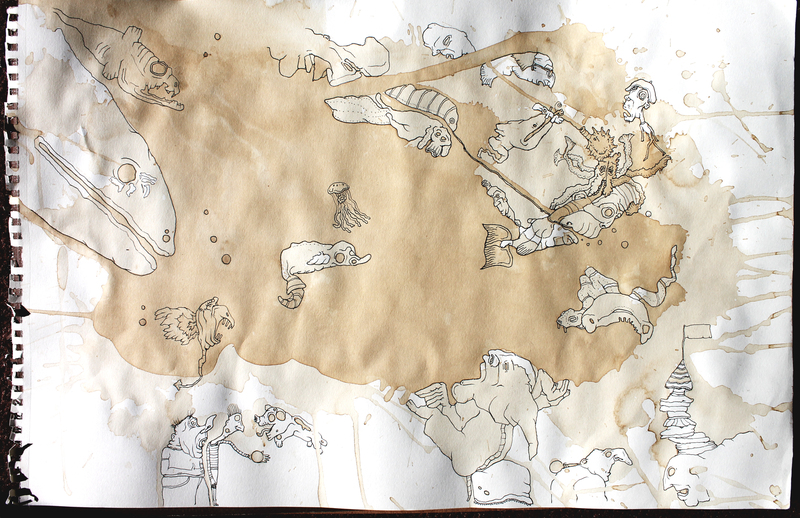 Due to the unexpected success of my coffee-stain doodles, I am posting one more for your viewing pleasure. I’ve gotten several requests for commissions over the last few days, isn’t that exciting?! I’m feeling hopeful that I may not be a starving artist forever. Anyway, good day, and keep being awesome! You can follow my work on Twitter, Facebook, & Instagram — and, if you find my work to be valuable, you can help this poor artist keep making his art by either purchasing some art and/or prints here, or by donating something to my artist fund. If you feel inspired to donate, you may do so here. Thank you so much for your support, and I hope you enjoy my art blog.